We have a lengthy and active practice in Indian housing. 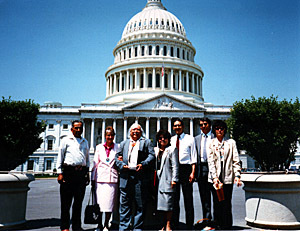 We have written and reviewed policies, reservation-based construction contracts, and modernization documents; handled disputes, mortgage financing, Native American Housing Assistance and Self-Determination Act ("NAHASDA") original and formula negotiated rule-making; litigated evictions; and dealt extensively with BIA and HUD on a local, regional, and national level, drafting and reviewing tribal leases, subleases, assignments, leasehold mortgages and mortgage and eviction codes. We provide general advice on federal contract compliance and regulatory requirements, prepare various policies and procedures, participate in evaluating bids and proposals, negotiate with housing contractors, monitor and report on changes in HUD regulations, represent our clients in disputes with participants, litigate evictions and contract disputes, and monitor and report on federal legislation and housing appropriations developments. Indian housing is one of the subject areas in which the firm has a particular interest and long-term expertise. We have practiced Indian housing law for almost thirty years, representing numerous Indian housing authorities throughout the years. In addition, we have examined numerous leases, deeds, and other conveyances for low-rent, Turnkey, and MHO projects, and have worked on writing opinions and advisory letters, and handling disputes arising out of construction contracts, MHO, Lease Purchases, Low-Rent agreements, and a variety of other transactional documents relating to Indian housing projects. We also have assisted in the development and interpretation of project contracts and specifications (both construction and professional services contracts) and have been involved in negotiations and arbitration in relation to disputed provisions. Most recently, we have been involved in development of reservation-based construction and modernization documents incorporating reservation-based standards and requirements into standard construction industry documents. We have assisted/participated in three LIHTC Projects, one of which was the first "green" project in Indian Country. Our working relationships with HUD officials are respectful and productive. In addition, we work well with many of the staff members of the National American Indian Housing Council. Cate Stetson was an active participant in the negotiated rule-making process in 1997, particularly in the development of the Title VI regulations for NAHASDA, and Tim Humphrey participated in the most recent Negotiated Rulemaking process. As you can imagine, we are familiar with NAHASDA and its regulations and have extensive experience with their implementation. In addition, we have written articles and have given talks at HUD and NAIHC meetings and have taught classes and done training on a variety of Indian housing issues, from conveyancing to financing, NAHASDA to evictions. Our attorneys have taught the Falmouth Institute’s Indian Housing Law courses for years. Our housing experience is quite broad. We have developed over seventeen housing policies covering subjects such as admissions and occupancy, grievances, Indian preference, personnel, procurement, travel, maintenance, management and ethics, collections and terminations, information technology, self monitoring, property acquisition and disposition, inventory control, and evictions. We have assisted many tribes in drafting housing related laws and ordinances, including laws necessary for establishing TDHEs, mortgages, and foreclosure and eviction procedures. We have litigated numerous housing issues, including eviction, construction, and bankruptcy cases, in state, federal, and tribal courts. We have extensive experience in tribal courts, collectively having practiced before the Blackfeet Tribal Court, White Mountain Apache Court, Crow Tribal Court, the Wind River Tribal Court, Jicarilla Tribal Court, Washoe Tribal Court, and the Pueblo courts of Santa Clara, San Ildefonso, Isleta, Laguna, Zuni, Pojoaque, Acoma, and Tesuque, among others.